Doc is with us today to dive into a couple currency charts. We stick to the larger currencies which include the USD, Euro, and Japanese Yen. Do you think it will get to 40? BB, I think the odds are very good for MO getting down to 40. In fact, it could happen in the next two weeks. Longer term, MO could even get down to 30. I would have to follow it much closer in the future to see if the odds favor that. Docs – Good thoughts yesterday and today in your editorials. I always appreciate getting your perspective on the markets for the bigger picture. Thanks! Ex, you have a good memory. This could be bad for AG, EXK, PAAS, MUX, GORO, Silvercrest, etc. Mexico had over 32,000 murders last year, predominately near the US border, as factions fight for control of lucrative human traffic exploitation and drug trade. This is more than double the 14,000 murders per year in 2014 at the height of drug trade violence. Brazil had twice as many murders as Mexico and guns were banned in both countries, but Brazil’s new president will make guns legal. How long have guns been banned in Brazil. They were fairly abundant a few years ago, when I was last there. I bought a leather briefcase that had a built in holster. This is more worrying to me than the US-Mexico border, despite the lack of US government ability to deal with the Southern border. We are going into a cold war with China. That is inevitable. I pray the war dos not become hot, because the US will lose. Then in the US, we are plagued by lies, fake, false, phony News. The only difference between Communism and Socialism is the speed at which they destroy the economy of a country. Look at how successful Venezuela is, sitting on great oil wealth. 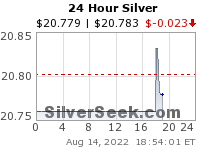 That was a strong endorsement for Silver, but a bit far-fetched to happen anytime soon. should be did NOT know…….I was going to give her some credit, but, she is really a” more on” that late……..
+1 Always enjoy getting Ira’s TA analysis. Cheers! Been following along deliberately to Chris Aaron’s podcast for well over a year now. I like his objective perspective. DXH19 reversal above/below 95.83 with volume breakdown on the weekly.is happening. The criminals got Stone. The witch hunt continues with more bogus charges like what they did to Corsi. Let that be a lesson to you boys. If this criminal gooberment wants to get you, it will. He is going in front of the same Judge……as Cohan and Maniford…. Looks like an orange jump suit week end for him……….. The raid by the FBI……no need in such drama……..CNN got the tip off…..What a joke. I didn’t see it since I don’t watch CNN. Did they ransack his house? Cops (at all levels of gooberment) do that all the time for no reason at all. I’ve seen them go in and tear a house apart and ruin it as part of the arrest even of people who have had all charges dropped against them. I enjoyed the music….nice and upbeat…..thanks…….. Imagine how Ocrassio will use the power of gooberment…how do you think she will use these thugs??? Stone never should have talked to Mueller or Congress. Mueller is giving Stone the Corsi treatment. You answer one minor question about something completely irrelevant incorrectly because you can’t remember and then you get charged. People have to learn NEVER to talk to cops or anyone else from the gooberment when it involves a criminal matter. As I said, Stone is going in front of the same judge that locked up the other two trump friends, or associates. Suprised Mueller hasn’t gone after Estulin. Greg better watch out. Mueller and Hillary will say he’s colluding with the Rooskies. And yes, Estulin was on Noory’s show before and talked about Bilderburgers, Trilaterailists, etc. I think I might have heard part of his interviews years ago on Noory’s show but never remembered him saying he was a Rooskie or worked for their gooberment. Anyway, I think we have way more to fear from the Deep State and the rest of our gooberment than from any Rooskie. Same with the tarrists as Bushie called ’em. OK, I lied. One last post before I take a hiatus (I’ll be back once GDX crosses $23). Yesterday, I noted that $HUI:GLD had broken below it’s cloud support on the daily chart. Well, lo and behold, the one day where recapturing the area above the cloud was most likely (the thin transition between clouds), it looks like that is exactly what is going to happen. Needless to say, this has huge implications for short term action in the miners, IMO. I’ve been stating that I think GDX bottomed for a few months now, and today is one more pillar to support that thesis. I’m cautiously optimistic about near term action now too. Anyways, cya when GDX crosses $23. I was just listening to BBC’s “more or Less” Radio 4 program on which the UK Office of National Statistics was reporting. Surprising to me, he reported UK unemployment at a low, employment at a high. More significantly, when challenged; that it’s just minimum wage and part-time going up, he came back with statistics rejecting that hypothesis. A little alarming, however, is that productivity is flat over the last decade, so GDP increasing with increasing employment, not innovation. and enhanced productivity. This implies stagnant real wage growth, except as minimum wage is forced up. And without productivity growth, there can be no real wage increase. He did not say the following, but I will. If wages are stagnant in real terms, but taxation increases, the real standard of living decreases, despite the apparent numerical increases which track inflation. I suspect much of the statement above also applies to the US. where productivity increases are low in manufacturing because of Chinese competition keeping price increases low, and thus production itself restrained. Of course,PMs up as the dollar falls out of bed! Not “of course” to the many who couldn’t see it! 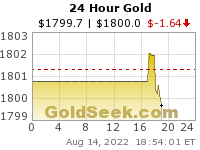 I said weeks ago that gold would probably not close a week below 1270 while many thought it would go MUCH lower. Obviously, those people probably still think that it will. 85.83 DXH19 – key level. Volume reversal today. Looking at the weekly Ichimoku cloud, the potential is there for a dramatic move higher by February 11th (above 40 cents). Otherwise I think it will be a steady rise into spring, with the next opportunity to realistically break above the weekly cloud coming the weeks of May 13-June 3, IMO. one final observation before I sign off: GLD (and $gold) looks like it will close above the weekly Ichimoku cloud for the first time in 8 months. It’s not really a guide with respect to near term performance, but what it does establish is that gold transitioning into a bull phase and that the $1270 level should be rock solid support at least through the first half of the year. It’s a positive first step, that is for sure. gold needs to hold above 1280ish into the week of February 19th and that $1270 floor will then be cemented IMO.